The menu and back buttons don't work,but the physical home button works. I tried to press hard on the edges of the screen, I tried to apply a twist from the short sides as if it were nothing but a wet towel. I did the hard reset but it did not work. As well as replacing the screen what other methods can I try? Is there any app, launcher or trick to resize the screen usable only to the working area? P.S. 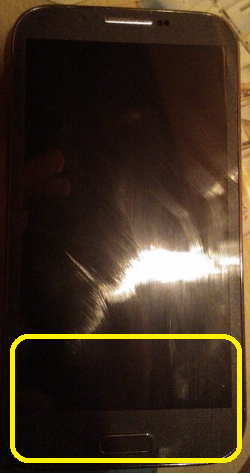 a few hours after leaving it in airplane mode suddenly the touch had this problem but I do not remember if I inadvertently placed something heavy in that area of ​​the cell. A partial but possibly helpful answer. My solution is tested on Stock Android 4.4.2 and Stock CyanogenOS 12 (5.0), and should work for Android 4.3 and above (based on this answer). I've mentioned wherever root access is required. 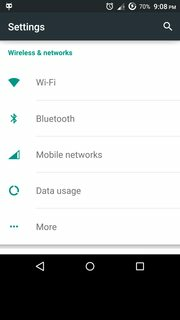 Enable USB-debugging in your phone. 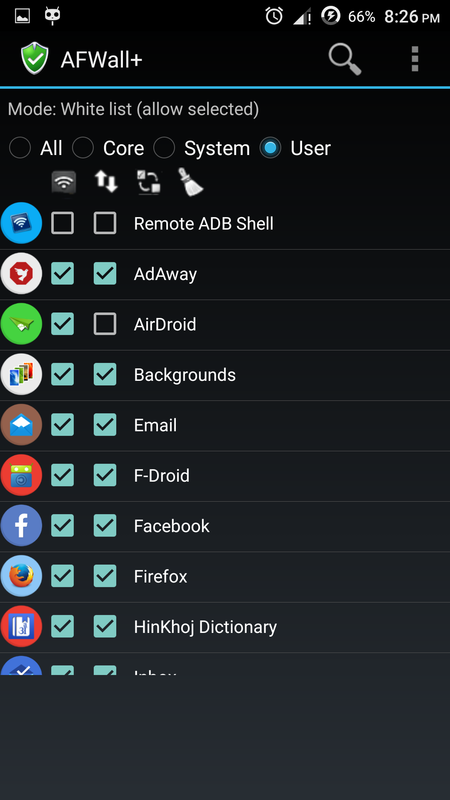 Install ADB tools in your PC, connect your device into it, and make sure that device is getting detected in adb devices. Tweak the value to your desired needs. and the resultant screen was like this. An app under tweaked resolution. 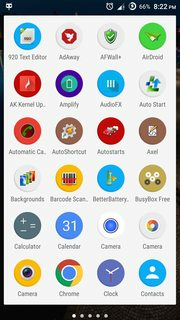 Note that you can use adb shell wm density reset and adb shell wm overscan reset to revert back to default density and resolution respectively. Now that "dead touch zone" has been taken care of it's time to use virtual/soft keys (only if you need it). Izzy has it already covered in this answer. 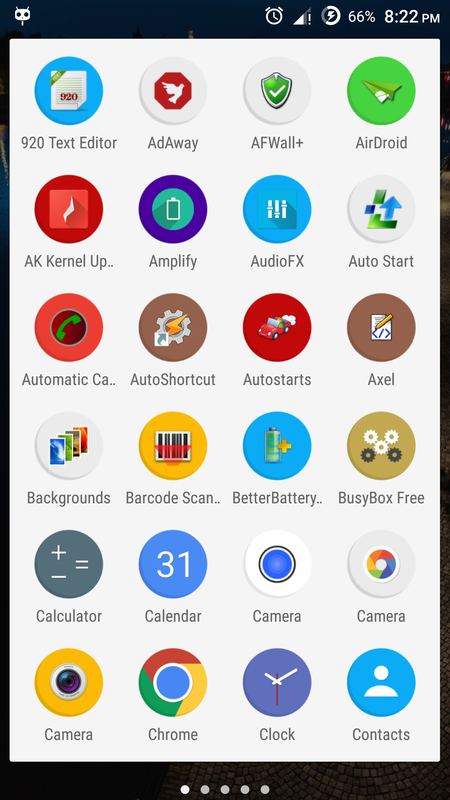 Otherwise, you can use Gravitybox LP (for Lollipop users) or Gravitybox KK (for Kitkat users). It is an Xposed module, and require root access and Xposed Framework installed. Install, activate and launch Gravitybox → Navigation bar tweaks → Enable Navigation bar → do a reboot, and soft-keys aka Navigation bar would be found enabled. 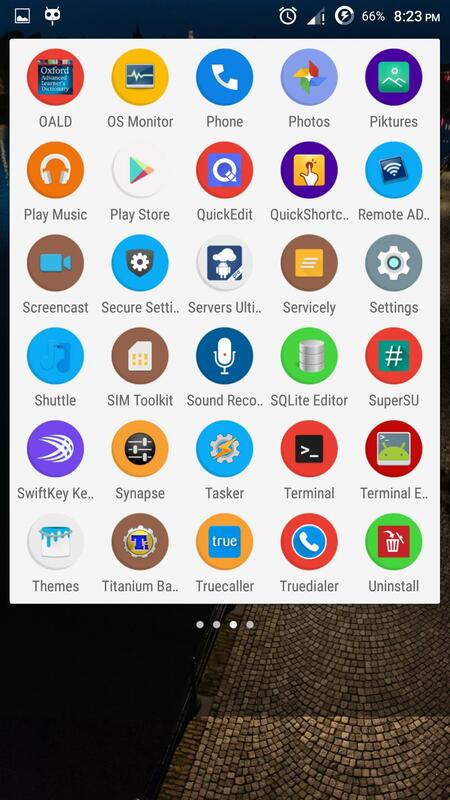 Custom ROM like Cyanogenmod and some stock ROMs has the option to enable soft-keys(buttons) under Settings. You can use that option since it doesn't require any root access. Note that the aforesaid solution probably wouldn't be relevant for the OP, but it is written considering the objective of the bounty (offered by barro32). Next big update possibly would be for Android 4.2. What do all the three have in common? As the screenshots show, they enable virtual softkeys at places where you want them. So you can avoid the "dead areas", and still have them present. Admitted, this does not resize the screen; but at least fixes the problem with the buttons. Requires root and android 4.3+!!! 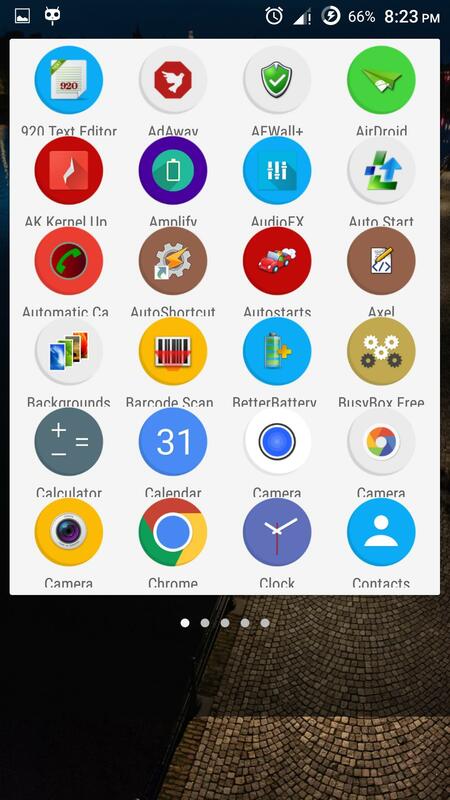 This app can change your resolution and also add virtual buttons. You will need to change the height about 1.5cm smaller. (can't see it very good on your picture so check it before applying!) If you have any problems with the app, check the app's description or post a comment below. Firelords answer works for Android Versions above 4.2. Change the density to e.g. 230: adb shell am display-density 230 (Can be reset with adb shell am display-density reset). If neccessary to enable soft keys/on-screen buttons, this can be done by adding the line qemu.hw.mainkeys=0 to the file /system/build.prop (required root permissons). If this line already exists in the build.prop, on-screen buttons can be enabled by setting the value to 0 or disabled by setting it to 1. As far as I know, this works from Android 4.0 on. 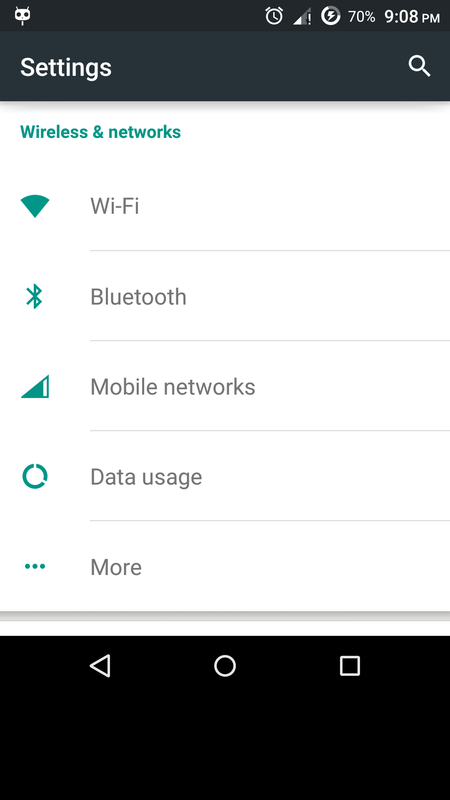 Try using Screen Shift from Playstore. I've tested it on my Redmi 2 and it worked fine. Can I resize my screen? 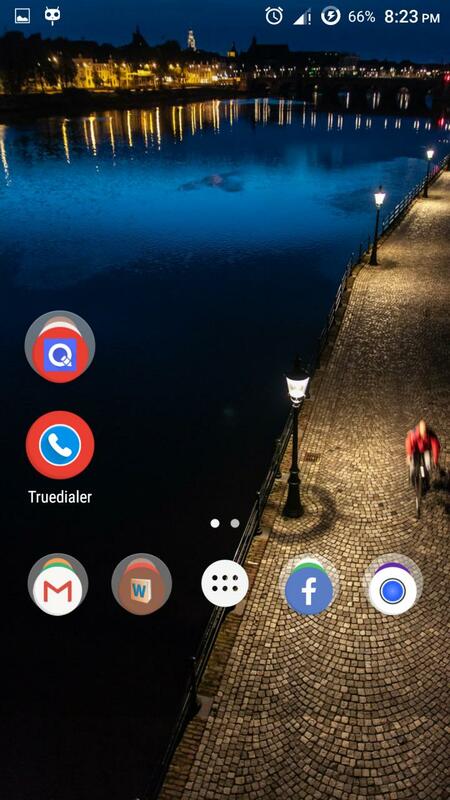 Is there a launcher or some software which would ignore top 1 cm of the phone screen? Replacing L-style soft buttons with KitKat-style soft buttons?